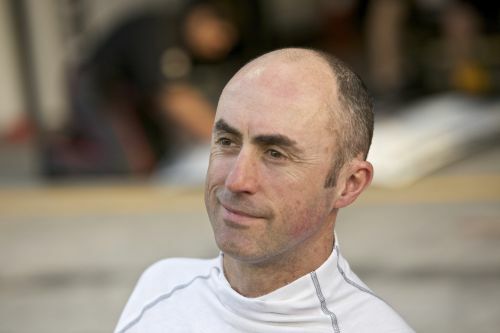 David Brabham is ready to embark on one of the busiest seasons of his 29-year career in 2012. In addition to contesting the FIA World Endurance Championship with JRM Racing, the triple Le Mans 24 Hours winner and double American Le Mans Series Champion will also target the Blancpain Endurance Series title with United Autosports. With over 20 years of sportscar racing heritage, Brabham joins the Leeds-based United Autosports team for the first time and will endeavour to propel the McLaren MP4-12C GT3 towards securing the team’s first major championship title and the Pro Class crown. In one of the most talented trios on the Blancpain grid, Brabham will be joined in the #22 car for the six round Series by teammates GP2 race winner and McLaren GT-factory driver Álvaro Parente (Portugal) and United Autosports-managed young star Matt Bell (England). Brabham commented: “I’ve been impressed with United Autosports’ development in recent years. They are an ambitious team looking to grow and that’s something I always enjoy being a part of. We turned Highcroft Racing from a small team into one of the most potent sportscar outfits in the world, so I’m sure I’ll be able to help United Autosports develop. “When you have the calibre of drivers we have at United Autosports it gives everybody a boost, as you know everything is being taken seriously and the target is to win the championship. This is a serious effort and there’s no excuse. The minute we hit the ground in testing the focus will be on winning. We’ve got a competitive package and I see no reason why we can’t take the title. Earlier this month, at the Autosport International show, Brabham was also confirmed as part of JRM Racing’s all-star line-up to contest the inaugural FIA World Endurance Championship, driving the Honda Performance Development ARX-03a alongside teammates Karun Chandhok (India) and Peter Dumbreck (Scotland). The switch from the sister Sumo Power GT team will see the 46 year-old return to prototype racing after a year competing in the FIA GT1 World Championship. Significantly, he will also be reunited with HPD, the marque in which he sealed back-to-back American Le Mans Series titles (in 2009 and 2010) with Highcroft Racing. In fact, for over four years Brabham was embroiled in the development of the HPD prototype. During that time with Highcroft Racing he achieved an astonishing catalogue of achievements for HPD, including first overall ALMS win, first ALMS LMP1 victory, first LMP1 championship spoils and the first team to record back-to-back ALMS titles. Brabham is now eager to take charge of the latest generation HPD LMP1 car for JRM Racing, commenting: “The JRM Racing LMP1 programme in the FIA World Endurance Championship is something that really excites me. JRM Racing is a team that’s been developing over the years, it’s got great potential and I can see there’s a real passion and desire to achieve. “I’ve got two great teammates and to be racing on the world stage on a programme I know so well is fantastic. I know everyone at HPD and Wirth Research, we’ve gone through a lot of pain and a lot of success together and to join forces with them again is pretty special. Partnered with JRM Racing, Brabham aims to make a welcome return to the Le Mans 24 Hours in 2012, after a forced absence in 2011 caused him to miss the race for the first time in 18 years, as the legendary La Sarthe endurance race forms the flagship event on the WEC calendar. “I got a bit homesick from Le Mans last year, but although it was painful at the time it was probably quite good for me to take a step back and see things slightly differently. I’ve learnt a lot by doing that. With the clear intention of heading back to Le Mans in 2012 I feel even stronger and more prepared than ever before, so I know it’s been a positive process.